ItemE-02036 - View Of The Cars And Trucks Of The Victoria Fire Department, Cormorant Street, Victoria. ItemE-02775 - Kitselas Tunnel On The Grand Trunk Pacific Railway. ItemE-02776 - "G.T.P. passenger train at Skeena Crossing." ItemE-02777 - "Skeena Crossing, G.T.P. Railway; completed July 7th, 1917." Item E-02776 - "G.T.P. passenger train at Skeena Crossing." "G.T.P. 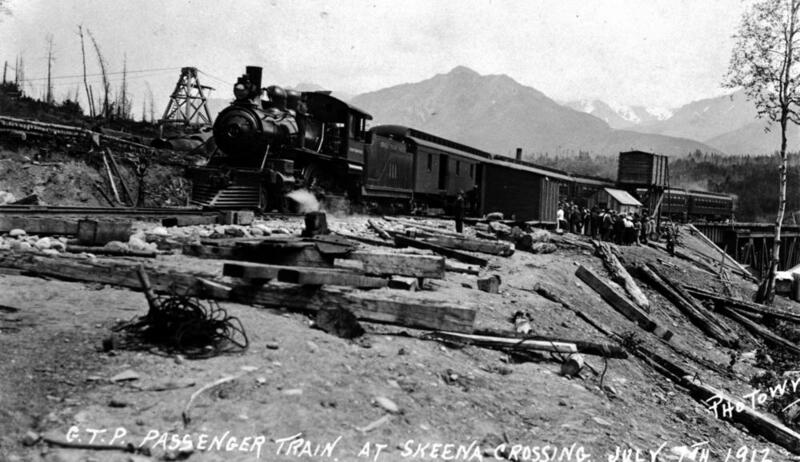 passenger train at Skeena Crossing."